Let’s put animal experiments on ice and support only ethical, effective research. Make the most out of your donation by finding a humane charity! The “ice bucket challenge” has gone viral. Participants either dump ice water on their heads or donate to charity—or both. How it started is not exactly clear, but this year, the main beneficiary has been ALS research. Unfortunately, donors may not be aware that a great deal of ALS research funding is being spent on attempts to create animals with genetic mutations that produce symptoms that mimic ALS. Animal experiments like these are not just bad for animals. They have not resulted in effective treatments. Part of the reason may be that many of the mutations targeted by researchers only account for 5-10 percent of all ALS cases. The failure of translation of results from animal experiments to human patients has been a huge source of frustration. The result is a waste of time, resources, and money. And it’s the patients who pay the toll: Ninety percent of drugs that appear useful in animals do not work—or prove unsafe—when tested in people. And half the drugs that are approved are later withdrawn or relabeled for adverse effects not detected by animal tests. But there is a better way. There are exciting advances in human-relevant medical research that are giving scientists insight into the etiology, prevention and treatment of disease. In ALS research, for example, scientists are now studying motor neuron cells derived from the skin cells of patients with the disease. This technique has led to the discovery of how certain genetic mutations interfere with the ability of motor neurons to function normally—an effect never observed in mouse models of ALS. Focusing research dollars on new technologies like these—that are directly relevant to human patients—will pave the way to gaining a better understanding of how ALS and other diseases occur, and will hopefully lead to effective treatments. So if you would like to participate in an ice bucket challenge, please direct your donations to a charity that focuses on relevant and progressive nonanimal research methods. Compassionate Care is one organization that provides a variety of resources for those affected by ALS and their families—and Compassionate Care does not fund research on animals. 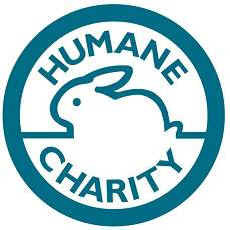 You will find a list of other charities that support nonanimal testing methods at HumaneSeal.org.